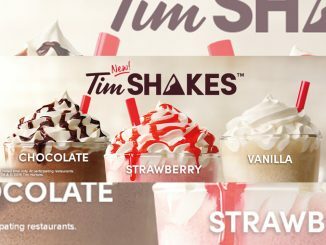 Tim Hortons gears up for the season of love by unveiling its new 2019 Valentine’s Day menu featuring a variety of sweet treats, including Be Mine donuts new red velvet baked goods and beverages. 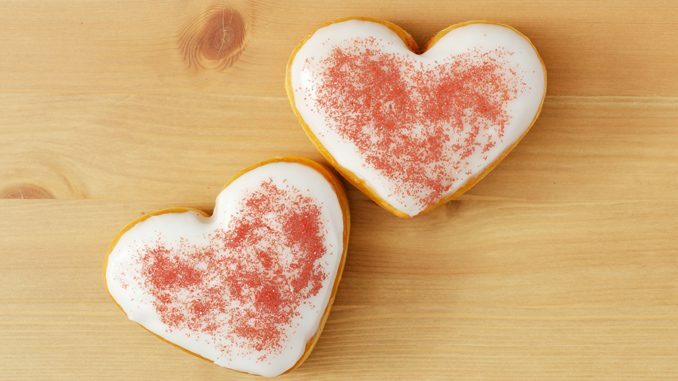 Be Mine Donut: A heart-shaped donut filled with a Boston Cream filling and dipped in chocolate fondant. A red sugar shimmer is sprinkled on top to bring a sparkle for that special someone. The donut carries a suggested price of $1.19. Red Velvet Filled Cookie: Similar to the muffin, this cookie is made from semi-sweet chocolate chips and has a cream cheese filing. Each cookie is available for a suggested price of $1.49. New Red Velvet French Vanilla: A French Vanilla hot beverage infused with red velvet syrup adorned with whipped topping and a sprinkle of red velvet flavoured sugar shimmer. You can find it at participating locations for a suggested price of $2.99. New Red Velvet Hot Chocolate: The brand’s hot chocolate infused with red velvet syrup and topped with a dusting of red velvet flavoured sugar shimmer over whipped topping. The hot beverage carries a suggested price of $2.69. New Red Velvet Latte: Red velvet syrup infused milk is poured on top of fresh espresso. To finish the drink, red velvet flavoured sugar shimmer is sprinkled over a whipped topping. The Red Velvet Latte can be found at participating locations for a suggested price of $3.59. New Red Velvet Iced Capp: The brand’s signature Iced Capp infused with red velvet syrup and finished with a whipped topping and dusted with red velvet sugar shimmer. The new beverage carries a suggested price of $3.79. 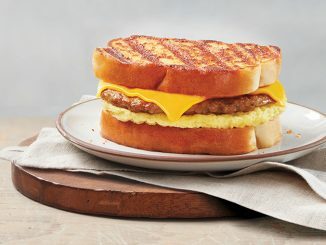 Tim Hortons 2019 Valentine’s Day menu can be found at participating locations nationwide for a limited time. 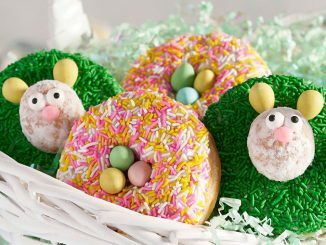 The Be Mine donut will be available through February 19, 2019, while the red velvet flavoured baked goods and beverages will be available until March 12, 2019.